We’re kicking off the new year with a new series called, Personal Injury 101. That’s right, we’re taking you, the reader, to school. It’s meant to be a weekly look at some of the most common terms and phrases in the misunderstood world of personal injury law. Our very first topic is about something that can play a key role in medical malpractice cases, affidavit of merit. What is the Affidavit of Merit? In short, an affidavit of merit is a document that you must file in many states if you plan on going forward with a medical malpractice lawsuit. Most, but not all states require this. That’s lesson one in Personal Injury 101. As you can see, things can get extremely complicated so it’s always best to consult with a qualified attorney about your case. 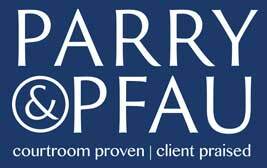 We here at Pickard Parry Pfau can let you know what your legal options are, and answer any questions you may have. In the meantime, use your newfound knowledge to score some major points in a game of Scrabble or impress your friends.